You might have already freaked out by the title alone. Well, I’m not here to give you a heart attack on what happened but what has happened is in the past. So let me tell you what actually happened. The following video demonstrates what could happen if someone tried to exploit that vulnerability in Steam. If the attackers were successful, they could install a software and run it remotely. For test purposes, they ran a calculator app to show how vulnerable Steam users were at that time. As you can see in the video, the results are quite astonishing. It also throws light on how much damage could have caused if this bug was ever discovered earlier by the wrong people. Thanks to Steam’s quick response, the bug was fixed within 8 hrs of its report and a beta patch was rolled over on March 22nd. 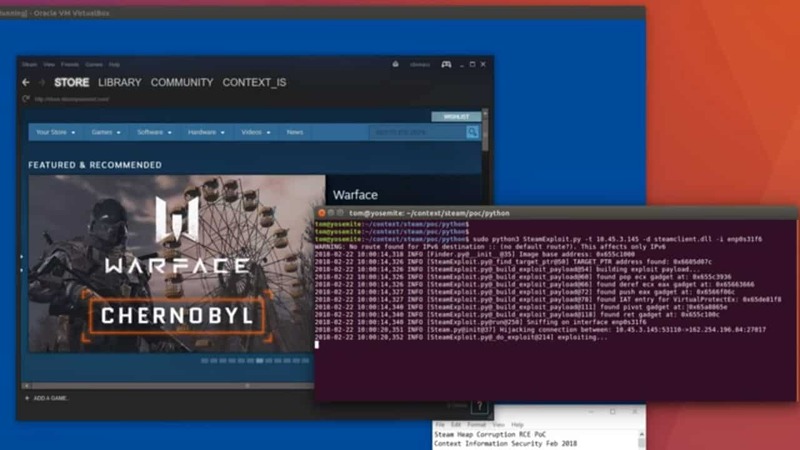 To us users, it was just one of those Steam’s regular updates complete with fixes to the in-game overlay and problems involving corrupt items on the Steam Workshop, while it also fixed the vulnerability in Steam.